The wedding is the most important day in a person’s life and for this special day, every bride-to-be starts planning in advance . 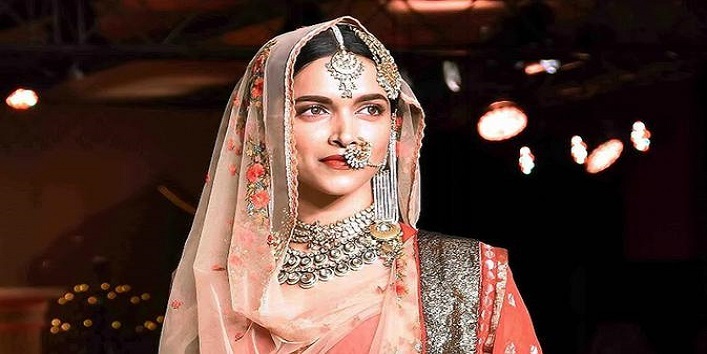 With the time, Indian bridal look has undergone various changes and the traditional style is making a comeback, like the importance of nose rings nowadays. But, the tricky part is to choose a nose ring according to the face type or it will ruin your whole look. 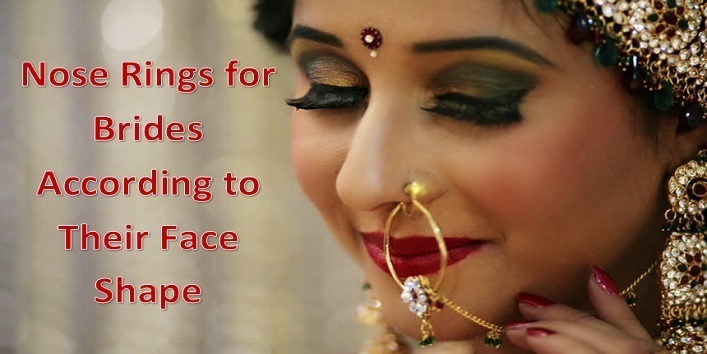 So, in this article, we have listed some nose rings for brides according to their face shape. Brides with a heart-shaped face can easily include heavy and bold naths in their wedding look. Including large accessories in your bridal look helps in diverting the attention from your broad forehead and wide nose. You can also try latkans that extends till your hair and then gets hooked. If you are planning to have a traditional bridal look then this nose ring with chains is the best option for you. The elegant chain of the nose ring which runs horizontally on your face is a great way to balance your bridal look. You can also opt for chains made of stones or kundan. This wedding season try out something different like Sonam’s beaded nose ring style that she wore at the Cannes. This simple and edgy nose ring can easily justify your narrow chin and broad forehead. You can try out the silver beaded, pearls and crystals nose rings. This is a perfect option for the brides with high cheekbones. This simple and elegant looking nose ring looks beautiful on the people who have chiselled jawline. If you have a small face, then it is better to avoid large accessories. Try to opt for the simple and subtle ones with a bit of shine. You can wear a tiny silver stud which not looks stylish but classic too. For a fancy look, you can have colorful gems and tiny half hoops. If you have sharp nose then you can opt for the cashew shaped nathanis made of precious stones, beads, kundan, and pearls. This nose ring is quite popular among the Marathi brides. So, these were the few nose rings for brides according to their face shape.